Our Sale (Red & Yellow) Hood Cover features a vibrant red background with a checkered pattern on the top and bottom. 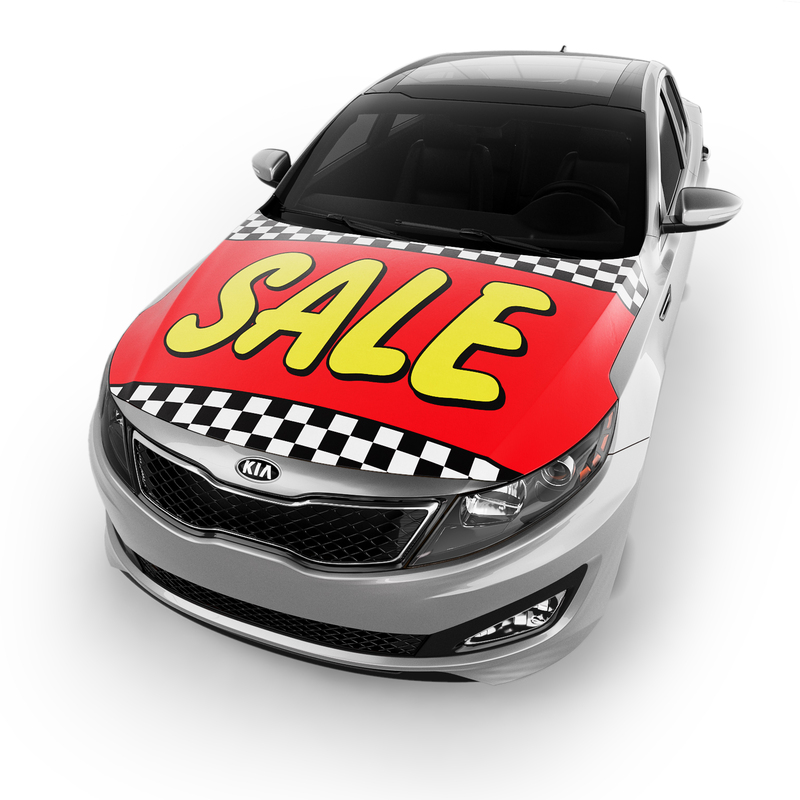 In the middle of the hood cover in bold yellow text with a black outline reads, "Sale." 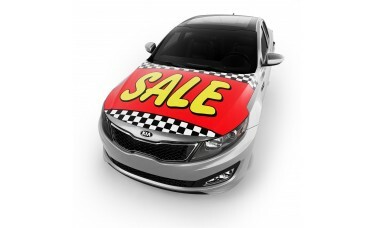 This hood cover is a great way for car dealerships to announce a sale and attract new customers. Our hood covers are made from durable PolySpandex fabric, which stretches to fit around the hood of the vehicle. The sewn-in elastic band around the edge secures the hood cover tightly to the hood, allows them to fit almost any hood type, and makes installation and removal simple.